Fall in love—from the very beginning. Discover the first book in the captivating, #1 New York Times bestselling Selection series. Prepare to be swept into a world of breathless fairy-tale romance, swoonworthy characters, glittering gowns, and fierce intrigue perfect for readers who loved Divergent, Delirium, or The Wrath & the Dawn. Don't miss the next books in Kiera Cass's popular series, including The Elite, The One, The Heir, and The Crown. 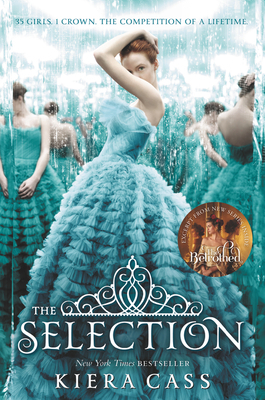 Kiera Cass is the #1 New York Times bestselling author of the Selection series and The Siren. She is a graduate of Radford University and currently lives in Christiansburg, Virginia, with her family. You can learn more about Kiera’s books, videos, and love of cake online at www.kieracass.com.